A gift from Tyler, The Creator. 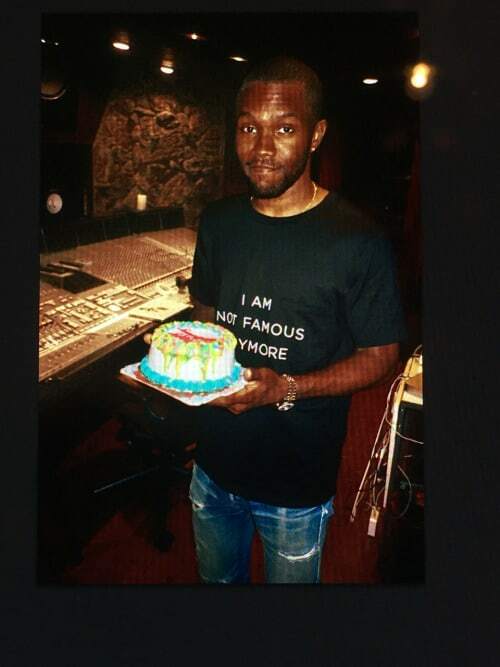 Frank Ocean has shared a picture of the birthday cake Tyler, The Creator bought him to celebrate the release of Blond. The image, taken at a recording studio, was put on Ocean's Tumblr this morning, August 24. Ocean, sporting a Shia LaBeouf-style "I Am Not Famous Anymore" t-shirt, looks happy with his gift. "Thanks Tyler," he wrote alongside the picture.